It was time for Road train washing! 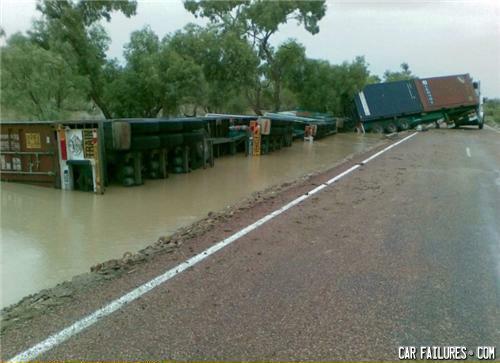 Australia, even the puddles try to kill you. what do you get a man with no arms or legs for his birthday?